Teachers of creative writing used to urge their students to write about what they know – perhaps they still do. But when you’re 18 or 19 and keenly aware of how thin your experience really is, it’s hard to put a directive like that into action. The truth is, a family and a hometown will afford you material to last a lifetime, but when you’re a youth neither seems important enough to address. It’s as if only distant places and other families are worth writing about. Even young New Yorkers and Londoners must feel this. For somebody writing from the wrong side of the wrong continent in the wrong hemisphere – which is more or less what it felt like when I was first writing and publishing – the feeling is acute. When you’re starting out, it takes nerve to write about home and to do it in a language that’s unapologetically local. Some voice in your head is telling you to moderate the demotic and the specific, to accommodate the ‘cosmopolitan reader’. You waste a lot of time second-guessing this abstract stranger from somewhere far more important, and sadly, in time, you’ll get to meet him or her and realise they weren’t entirely imaginary. For writers at the margin there will always be an imperial pressure to relinquish particularity and conform to something more familiar, and what is most familiar to the world of publishing is an urban and largely denatured life. Whether they acknowledge it or not, many editors like to see their own lives reflected. Readers in New York and London often prefer a friction-free reading experience, so when you stubbornly write about regional lives in local vernacular you test the cosmopolitan reader’s patience. These were lessons I had to learn at home before I began to be published abroad. In the late 1970s and early ’80s, when I first sent stories to magazines in Melbourne and Sydney, I encountered a cultural headwind I naively assumed had puffed itself out a decade before, but despite the confidence evident in the new wave of Australian cinema, the bubbling ferment in local publishing, and a fresh swagger in the arts in general, the old colonial mindset lingered on in the form of an unspoken aversion to regional settings and colloquial expression. If you were a writer or painter and you showed more than a passing interest in place, you risked being labelled second-rate, provincial or reactionary. Having understandably had their fill of bushrangers, hardy pioneers and Hans Heysen gumtrees, the guardians of culture were leery of anything countrified. There was a palpable anxiety about presenting a clean face abroad. Idiomatic language and settings a little alien to the inner-city milieu of publishing and cultural power bore a shaming whiff of redneck armpit. Whether you’re from far north Queensland, the Territory or Western Australia, there are times when you feel as if you’re living on an island within an island. Tasmanian writers and artists live it quite literally, on an island beside an island, and half the time their bit of Australia is absent from the map. And with every cultural and geographical current against you, it’s hard to resist the impulse to obey the tidal logic and set sail for somewhere downwind. As Flannery O’Connor and Alice Munro have shown, it’s one thing to teach yourself to write and another to train your editors to read you. Both these regional writers – each stubbornly invested in particularity – educated their publishers and their readers with sheer persistence, by holding their nerve. Every Australian reader is forced to accommodate the strangeness of overseas – usually American or British – fictional settings. To keep up you need to adapt to new and weird idioms and soon these become normative. This provincial form of cosmopolitanism isn’t optional. Similarly, a reader from some no-account place like Perth is expected to adjust their senses eastward with no reciprocity. At 19 and 20 it was a nasty surprise to realise just how resistant a Sydney or Melbourne editor could be to the appearance on the page of Australian places and species with which they were unfamiliar. It may be hard to believe at this distance, but in my early days it wasn’t just the foreign publishers suggesting I append a glossary to the end of a novel. As I recall, the pesky dugite (Pseudonaja affinis) caused the most editorial grief at home and abroad, and I was tempted to follow St Patrick’s lead and ban elapid snakes entirely. But I kept coming back to Flannery O’Connor. Not only was she misunderstood in New York, she was a problem for folks at home in Georgia, too. I loved her craft and the singularity of her world. But I also admired O’Connor’s cussedness, her refusal to come to heel. She was an important influence. I don’t know if, in the end, I held my nerve as a writer or just painted myself into a corner, but I persisted with place as a starting point for all my stories. For me a story proceeded from the logic of an ecosystem. When I began a piece I never knew where I was headed, but I followed the contours of the country my characters were in and found my way to the nub of things, and over time I grew more passionate and emboldened about using the vernacular language of the people I knew best. In a way I wanted to draw a reader into a fictional setting that was unmistakably distinct, just as I was swept into the foreign worlds of Hardy’s Wessex and Ronald Hugh Morrieson’s Taranaki. I began to write about Albany and the people and places along the south coast. This was as much a matter of making do with what I knew as it was an ongoing act of homage to somewhere I loved. But in retrospect I see I was trying to find a language for the presence of the past. I was coming instinctively to an understanding of the way geography shapes us, but also tacitly giving credit to the weight of time. When they move in and across a landscape humans are wading through a shared past, surrounded at every turn by events and processes that will never be over. And I don’t just mean human events, but matters of geology and biology, too. The past is inescapable. Every extruded stone we brush by, every flattened vowel and awkwardly idiomatic expression we use as we stumble past it betrays the weight of time. For someone brought up with a modernist outlook, it’s hard to swallow the idea that we belong to nature, tougher still to be owned by time. 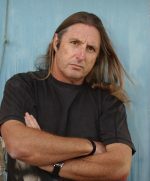 Extracted from Island Home: A Landscape Memoir by Tim Winton, published in paperback by Picador at £8.99.